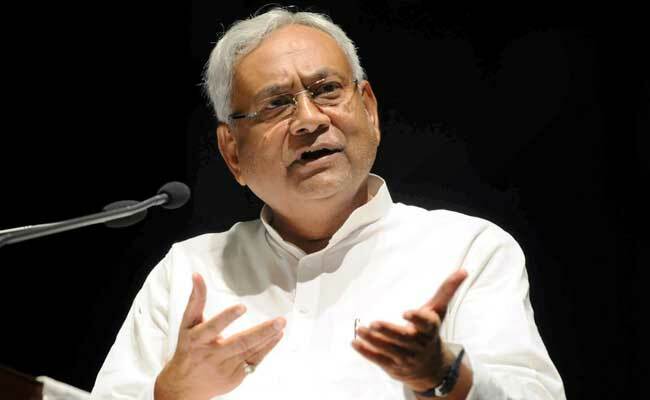 The Bihar Cabinet has approved reservations for persons with disabilities in government jobs and educational institutions. New Delhi: The Bihar Cabinet has approved reservations for persons with disabilities in government jobs and educational institutions. The cabinet gave its approval during a meeting presided by Chief Minister Nitish Kumar, Cabinet Secretariat Department Special Secretary Upendra Nath Pandey told reporters. The provision has been brought in accordance with the Persons With Disabilities Act, 2016, he said. The cabinet also approved establishment of a state advisory board for the empowerment of 'Divyangjan' as envisaged in the Act, he has said. Secretaries of various departments will serve as members of the board, he said, adding the board will also comprise representatives from districts. Besides, two members from the state legislative Assembly and one from the state legislative Council will also be members of the board, Pandey said. The cabinet also decided to pay allowances to state government employees as per revised rates, Pandey said. The decision comes just a week ahead of the Diwali festivities. As per the revised rates, HRA would now be 24 per cent of the basic salary for employees stationed in Delhi, 16 per cent for those at Patna, eight per cent for those in district headquarters, six per cent for those in other towns and four per cent for those posted in rural areas. Emoluments like family planning allowance and special pay for secretariat employees, except those involved in engineering and research activities, have been scrapped.